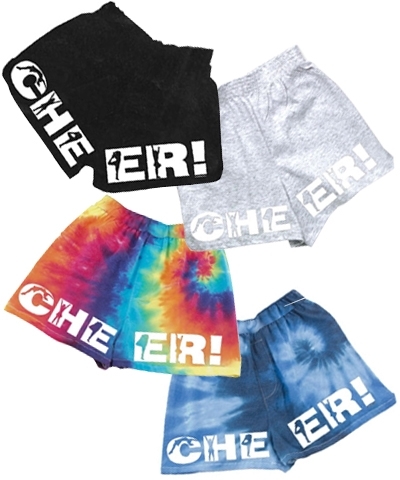 Cheer V-Notch Shorts. Choose From Black, Ash, Kaleidoscope or Workout Blues. The waistband is exposed elastic with side vents that say "classic" V notch shorts. The V-Notch shorts run short, so order accordingly; based on your personal preference for fit. The 7.3 oz, 60% cotton/40% polyester fabric of these shorts resists shrinking. 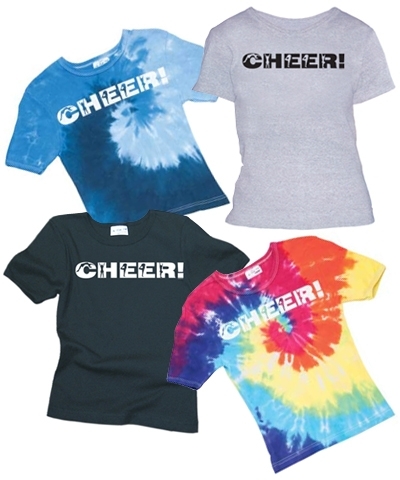 The adult sizes have a 3" inseam and the youth sizes a 2" inseam.